Delegate Applications are accepted from 14 January to 10 February 2018. You must be an eligible and registered member of the Space Generation Advisory Council in order to apply to the Space Generation Fusion Forum. Becoming a member of SGAC is free! You can read more about the benefits of membership, and create an account. The delegate selection process for SGFF is highly competitive. Information you provide will be used to evaluate your application to be a delegate at the 7th Space Generation Fusion Forum. Applicants will be evaluated specifically in the areas of motivation, experience, industry awareness and insights, passion, and enthusiasm. You should hear about the result of your application sometime during the last week of February. Successful applicants will receive an email with further instructions, as well as information on how to pay for registration. The Global Grants Programme facilitates the attendance of international delegates who bring unique and insightful firsthand perspectives to the Space Generation Fusion Forum. 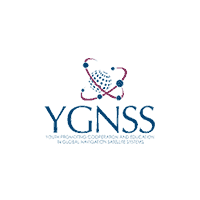 This is accomplished through awarding grants to selected applicants that will provide support to attend the 7th Space Generation Fusion Forum (15 – 16 April, 2018) and 34th Space Symposium (16 – 19 April, 2018) held in Colorado Springs, CO, USA. You can find out more information about the Global Grants Programme here. The Global Grant Programme Application Form can be found after you submitted your SGFF Delegate Application. We recommend you prepare your responses for the application beforehand and copy and paste into the application form. The information needed for your Global Grant Programme Application can be found here. Selected recipients of the Global Grants Programme will be notified by 15 February 2018. Accepted delegates will receive further information on how to secure their spot by paying the non-refundable registration fee. * Proof of enrolment may be requested. ** Young professionals are individuals between the age of 18 to 35 as of April 15th, 2018 who are not students.